Esteban: Say something like a sissy girl. Esteban: No... you know. Swing... your... hips. Esteban: Make them sway and flap your wings. This is a great movie that keeps you laughing the more you see it. 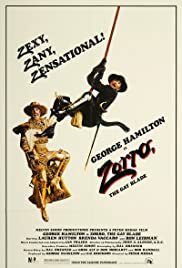 The interplay between Ron Liebman (Esteban) and George Hamilton (both Zorros) is the perfect comedic match. Excellent cast and great writing combine to a true cult classic. Lauren Hutton provides a tolerable love interest that possesses a feminist liberal touch to her character. This is overshadowed by the comedic confusion created by Liebman and Hamilton. 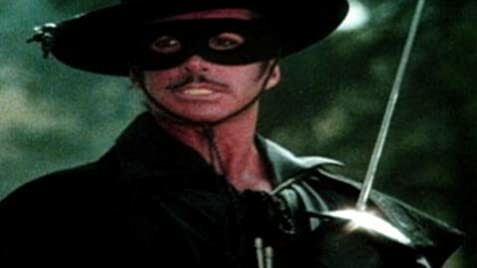 Liebman is outstanding as the overly obsessed Captain Esteban for his nemesis Zorro. Brenda Vaccaro plays Florinda, Esteban's devoted buy love starved wife, who of course, has secret desires for Hamilton that adds spice to the interplay between Liebman and Hamilton. Must see, 5 stars out of 5.